We’ve all heard the prescription for how to get ahead in life: go to college, get a good job, network, and move up the ladder. 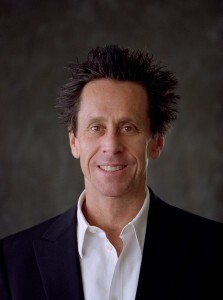 But what’s missing from that equation, according to Hollywood producer Brian Grazer, it is curiosity. Grazer is the Emmy-and Academy Award-winning producer of such cinematic blockbusters as Apollo 13, A Beautiful Mind and The Da Vinci Code, as well as 2015’s breakout hit television series, Empire. Grazer, who will headline the CoreNet Global Summit North America in Los Angeles in October, says that more than anything else, having an acute sense of curiosity is key to achieving personal and professional success. He knows this firsthand. Grazer cultivated his own curiosity over a number of years, through what he calls “curiosity conversations”— intimate conversations with people in other professional disciplines (astronauts, filmmakers, business leaders, scientists—even spies!) from which he gleaned knowledge and insight about ideas and world views far different from his own. These conversations, Grazer says, were an integral part of his professional success. Grazer says anyone can enjoy a fuller, more interesting life. It starts with being curious. Grazer will share tips on how you can begin crafting your own “curiosity conversations,” and he’ll talk about his New York Times bestselling book, A Curious Mind: The Secret to a Bigger Life, during the Closing General Session at the CoreNet Global Summit North America in Los Angeles.